Britvic plc and Diabetes UK have announced a new three-year partnership. Through a combination of corporate donation and employee fundraising, Britvic will aim to raise £500,000 to improve the lives of children and families affected by diabetes, helping to ensure children with Type 1 diabetes can get the most out of every part of school life. The funding will be invested in Diabetes UK’s Make the Grade school packs and in increasing the number of schools achieving Diabetes UK’s Good Diabetes Care in Schools award. Britvic will be the sole corporate funder for these activities. In addition, through the partnership, Diabetes UK will be working closely with Britvic’s 2,000 employees based in Great Britain. Diabetes UK will help them and their families understand how to live healthier lives and so reduce their risk of developing Type 2 diabetes, as well as supporting those employees who live with Type 1 diabetes. 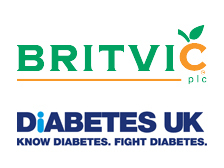 Employees at Britvic will also be encouraged to support Diabetes UK’s cause, by volunteering and raising money through a number of different activities. Giving back to communities is embedded in Britvic life, with each GB employee given three paid volunteering days a year to give back during working hours. The company also match-funds donations up to £250 per employee. This will be in addition to the corporate support that Britvic is giving directly to Diabetes UK.